I just want to give an anonymous shout out to a good friend, good writer, good editor and all around great guy who's been helping me a lot by giving me suggestions and feedback during my fledgling steps to building a presence on the vast world of the web. He know's who he is and now he knows how much it means to me. Thanks, man! And then that happened. Weird. Moving on. This sounds weird and, I can only assume, oddly compelling. Scientists accidentally punch a hole in time and space and bring a dinosaur into the present. Said dinosaur, a T-Rex naturally, imprints itself on to a little girl. Ok, that sounds like the beginning of a children's story, minus the time and space thing. 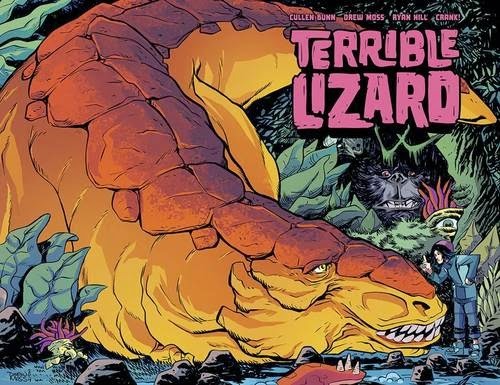 Then it gets really weird when mutated prehistoric monster's, who came through the same hole as the T-Rex, begin attacking our planet and it's up to the little girl and her T-Rex to save us all. I feel like I shouldn't be intrigued by this but I kind of am. 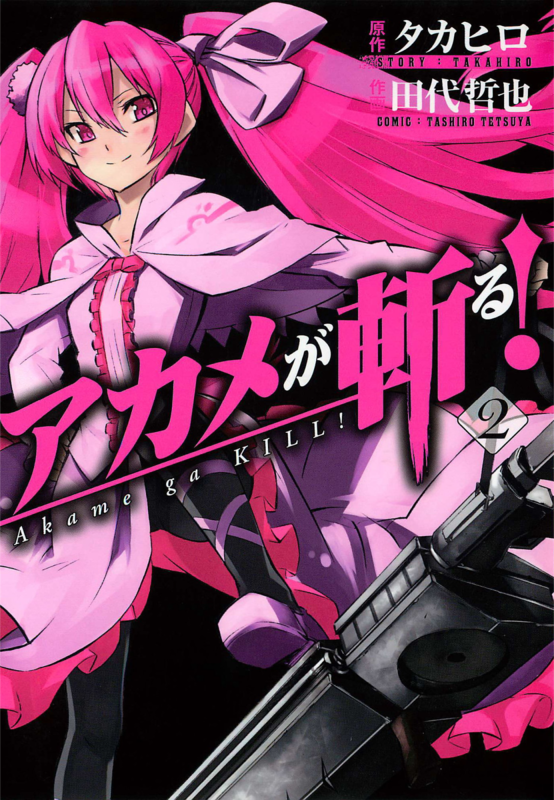 Yukai, Yukai... Zank the Beheader is featured in these five chapters of the fantastic Akame Ga Kill! Akame is probably my favorite ongoing manga at the moment. It has everything that makes a good Shounen and doesn't fall in to some of the cliches of the usual Shounen fair. These characters are capable and while not always sure of themselves they do posses more honor and camaraderie then the usual pack of assassins. And dead is dead in Akame which is appropriate when all the characters are assassins. Don't get me wrong, it's nice to see a beloved character make their return, but, unfortunately, life isn't like that so it's nice when a book keeps the reader on their toes by killing off characters we've legitimately come to like. I used to play Turok back in the Nintendo 64 days. I don't remember it being the greatest game in the world, but it does seem like it'd make a decently entertaining comic book. 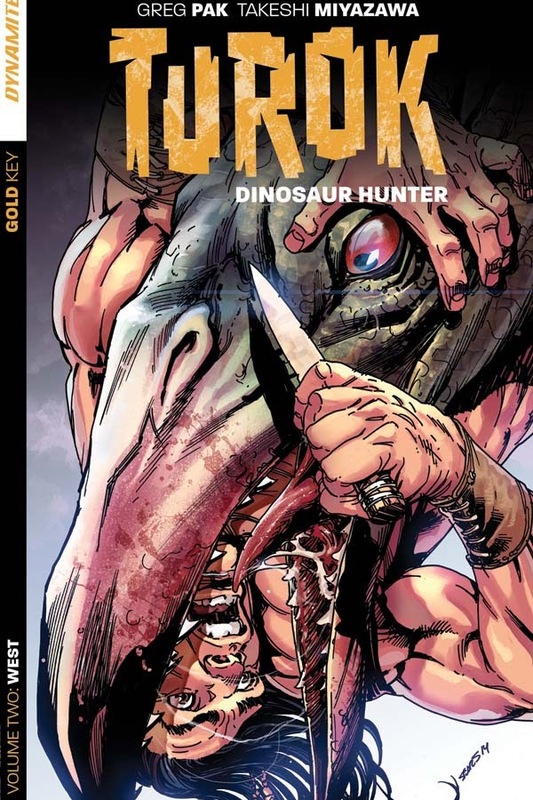 There's lots of talk of flying reptiles and cursed parents and defeated Crusaders in the plot but in the end it seems that Turok will be given a choice on whether to become the Khan of the evil Mongul's or fight until his last breath. I've read good thing's from Greg Pak so this has the potential to be more then just a nostalgia trip.